Women may nominate themselves or another woman they believe is deserving of this honor. Submitting more than one nomination does not guarantee selection. Please include a statement (no more than 250 words) describing why you (if you are nominating yourself) or your nominee (if you are nominating someone else) should receive the Women's Leadership in Action Award. Please note that as this is a writeable form, typed signatures will be accepted. By typing your name in the signature line you agree to the terms of release as stated below. I consent to the accuracy of the information contained in this nomination form. 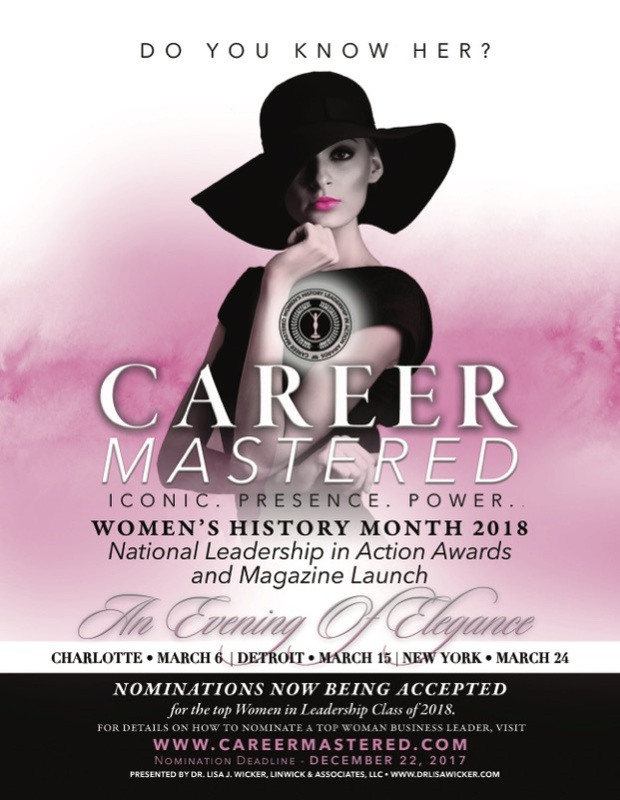 I understand that my application and supporting information become the property of Linwick & Associates upon submission, which shall have sole discretion in using these materials for the purpose of publicizing the Women's History Month Leadership in Action Awards program.